Our approach builds the capacity of frontline workers so they can build the capacity of others. With online and offline components, our digital training curriculum combines practical instructional videos that guide trainers and a mobile training app that assesses the mastery level of frontline workers. 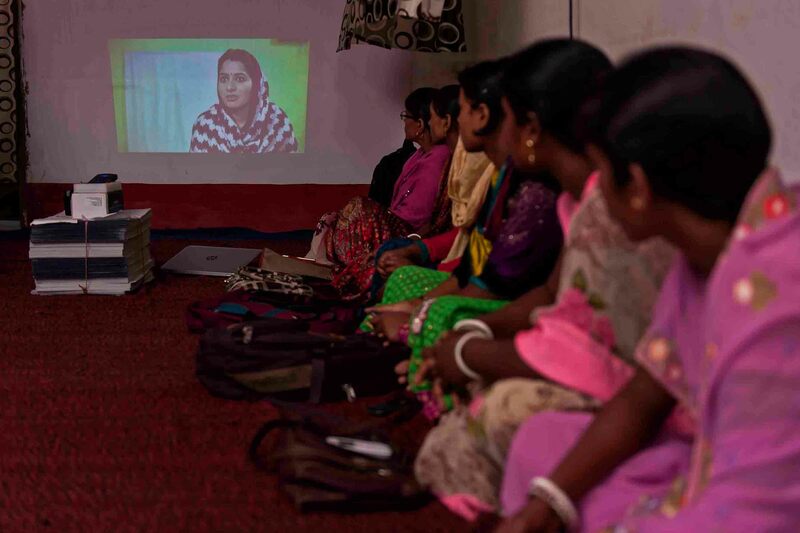 Just as video has proven effective in reaching rural farmers, it allows Digital Green to efficiently scale our efforts to train frontline workers. Our video based training courseware allows us to maintain quality standards as we scale, making it a strong mechanism to provide effective trainings. 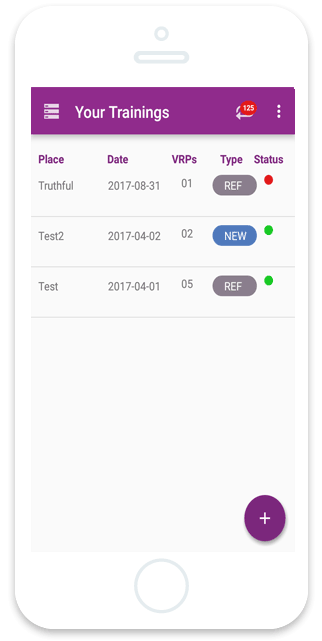 To ensure the frontline workers we train have acquired the knowledge and understanding they need to train others, we developed a mobile app. 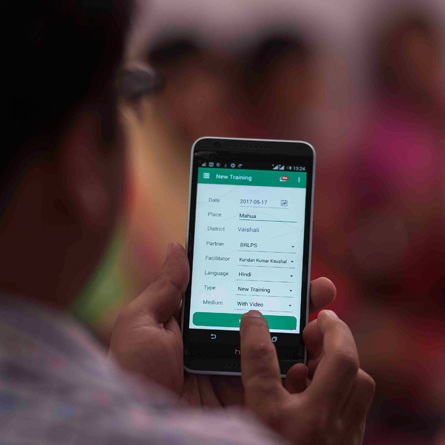 The app tests frontline workers’ understanding of what they’ve learned through the training videos, ensuring they’re ready to pass that knowledge on to farmers. As with everything we do, we collect data at all touchpoints. That data flows into our Training Analytics dashboard, where we use the information to assess what’s working – and to improve what’s not working. 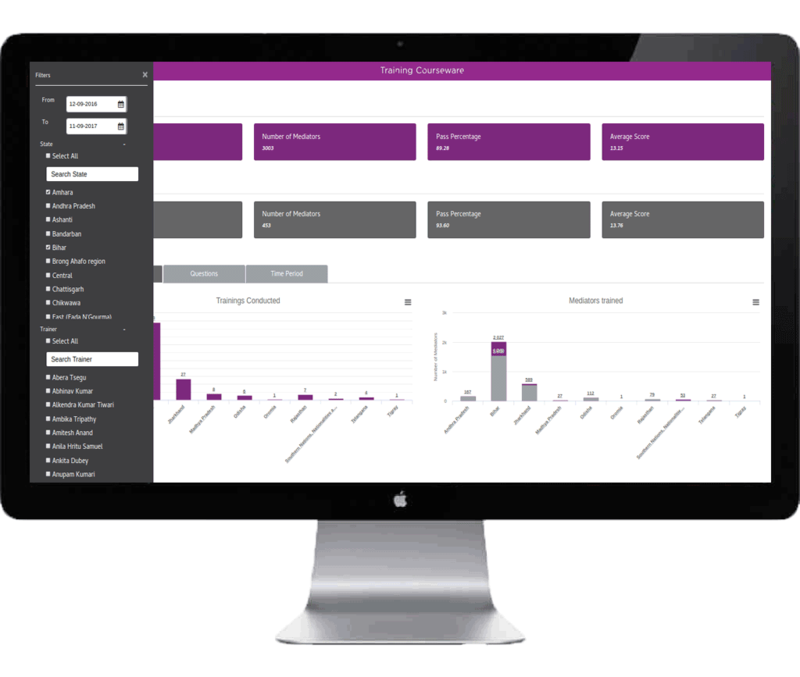 Learn more about our Training Dashboard below, or view it for yourself here. 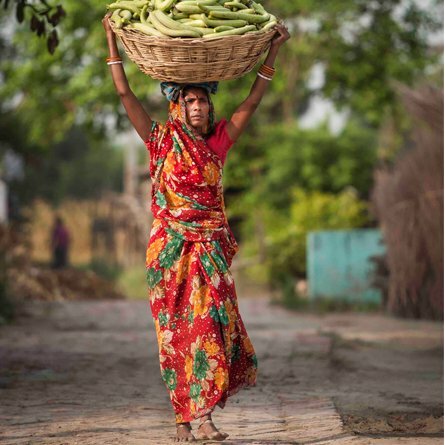 Available in Hindi, English and French, Training Courseware provides instruction on our Community Videos solution and key agriculture and nutrition messages. 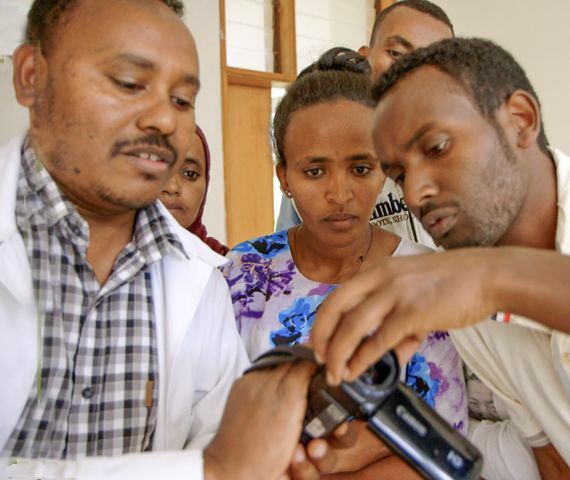 Video production training enables community teams to produce compelling videos about relevant agricultural practices that boost farm productivity. 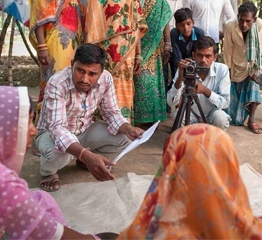 Video dissemination training helps workers to become effective facilitators, increasing the success of their screenings. 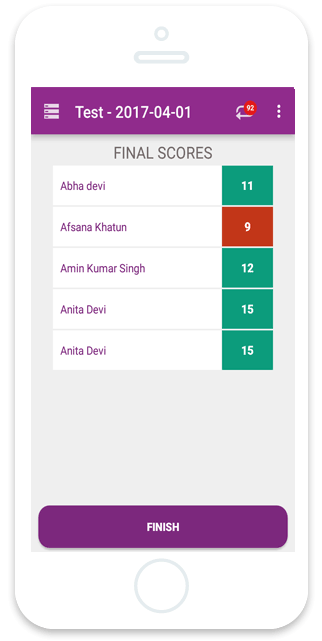 We developed a mobile Android application that guides trainers on the use of this video courseware and includes a means of assessing front line workers and monitoring their progress. 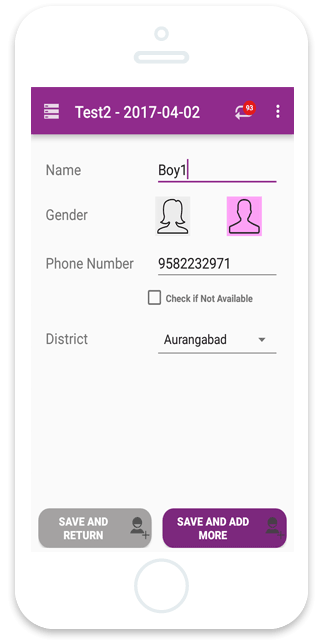 The mobile assessment app records the performance of frontline workers and sends it to the training analytics dashboard. 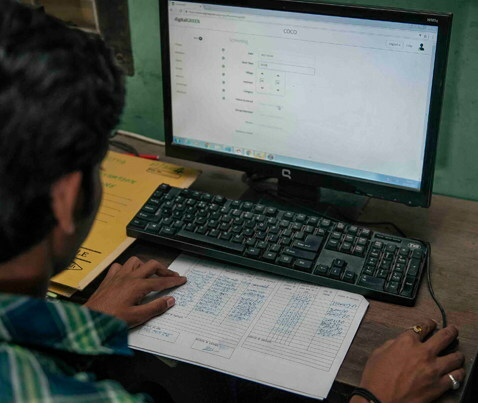 The dashboard allows trainers to look across their peers, and frontline workers they have trained, to identify where persistent gaps in their skills exist. 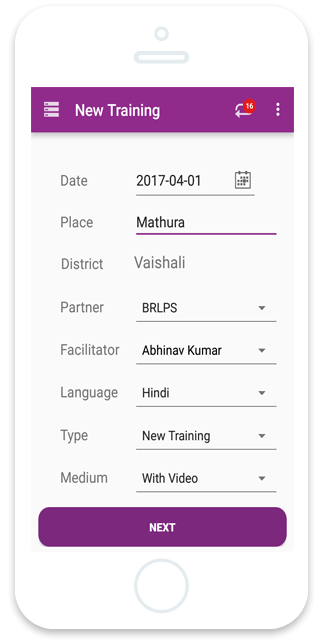 The dashboard also enables Digital Green to target follow-up training to frontline workers based on areas in which they’re less proficient. 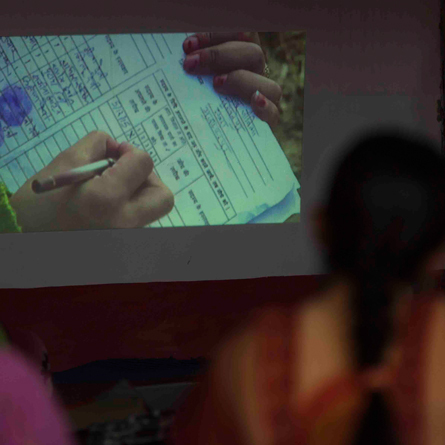 Our data has told us that the videos produced by our partners for farming communities often have a high degree of variability in their quality and completeness. 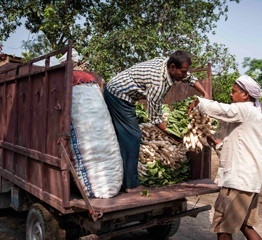 For example, farmers often have to apply multiple practices in a coordinated fashion, and an à la carte approach to video screening led to farmers adopting practices in a piecemeal fashion that didn’t boost their overall productivity. Digital Green is now working to ensure farmers are watching the right videos at the right time to maximize the returns on their investments. 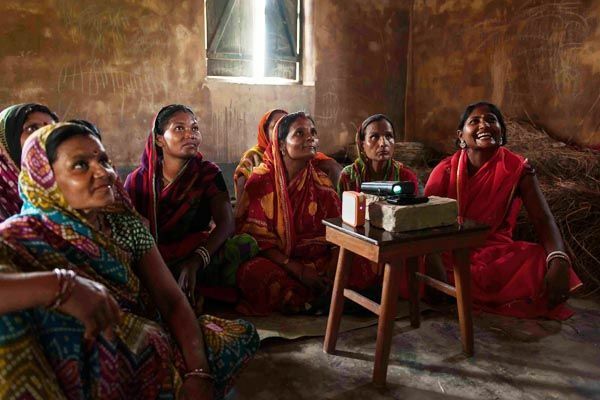 Since 2008, we’ve facilitated the production and dissemination of thousands of locally relevant videos, enabling millions of farmers to share knowledge with one another. It’s in our nature to ask questions – especially ‘What if?’ and ‘Why not?’. Our Innovation Lab is where we experiment and explore, trying out new tools and novel solutions.